It is well-known that Diabetes has become a dangerous disease today. More and more people are developing Diabetes as it is stimulated by both genetic and environmental factors. As per World Health Organization (WHO) by 2030, the number of diabetics will exceed 350 million across the world. Today, it is not restricted to elderly age-group as an increasing number of young adults are also developing the disease. The same is true for India also, where a large number of people already have the disease and many more will be developing the same in the coming times. Our venture in the domain is to spread awareness regarding the disease and help the physicians to screen the patients world-over in fighting Diabetes. We have developed state-of-the-art infrastructure that is built on the most sophisticated designing and manufacturing capabilities. Our production facility is installed with advanced software and machines. The unit is managed by our team of production experts, who along with qualified team of quality control professionals, ensures that all the manufacturing processes are carried out as per the stipulated guidelines in order to maintain high and consistent quality standards across our product range. Our infrastructure also consists of a well maintained packaging and warehousing unit. We make sure that all the products are packaged, stored and transferred under quality control environment so that they reach our esteemed customers in perfect condition. 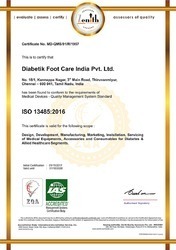 We are one of the leading manufacturer, distributor and exporters of medial devices for the management of diabetic foot complications. These equipment are manufactured in line with strict safety standards and conform to various Standards. We are an EN ISO 13485:2016 certified company. A total of 4,000 exhibitors showcasing the latest products and services from the healthcare industry. We are exhibiting our products and services in this medical equipment fair. Our customers are our most valuable source of information about the "real world" of medical practice. Members of our R & D, marketing and support teams meet with customers on a regular basis to discuss product improvements, new product ideas, and emerging clinical trends. Our clinical application specialists are in hospitals daily, learning from our customers that which is most important to them. It is through these close working relationships that ideas emerge which can shape future developments and improve current practices. 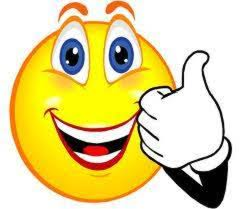 Throughout the years, MES/DFCI has built its reputation by focusing on the customer -- meeting the customer's expectations --, which is a key priority. 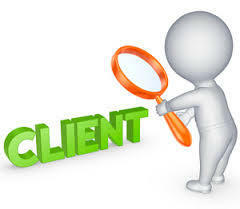 We are working closely with many Pharmaceutical Companies in India. Many of them use our products for their promotional and research purposes. We are also exporting our products to European, African, GCC, Asian countries through our International Distributors and also directly. 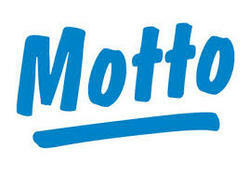 Our prime motto is to Provide Quality Medical Equipment at Affordable Prices. Our mission is to improve the quality of life through advanced medical technology. DFCI products have earned a reputation for quality and performance. “Founded in 1990 under the motto of "Distributing Quality Medical Equipment at Affordable cost", our mission is to improve the quality of life through advanced medical technology. With commitments to Quality and Reliability, DFCI products have earned a reputation for quality and long life. The company was established with a sole mission to develop world-class diabetic foot care medical equipment at competitive prices. We make sincere efforts to design and manufacture vascular doppler systems,Neuropathy grading equipments – Vibration perception, thermometry hot & cold preception, Plantar pressure measurement tools Foot Imprinter Harris Mat, Podiascan & Pedography, electronic pain killer (T.E.N.S.) and other such medical equipment, which are widely used in diagnosis and prognosis of diabetes and its management. 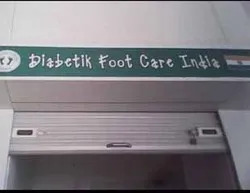 We at, Diabetik Foot Care India, are highly professional and dedicated toward serving the mankind with complete diabetic management solutions thereby improving the quality of life for the diabetic patients. Our company is very much concerned to the welfare of diabetic patients as diabetes cause numerous complications that can affect nearly every organ in the body. Approximately 65% of death from diabetes is due to heart disease and stroke. Many studies show that by controlling and managing diabetes, diverse serious complications can be avoided. We offer a wide range of medical equipment, which is very effective in diagnosing diabetes at early stage thus, helping the patients to live their life with this disease successfully.